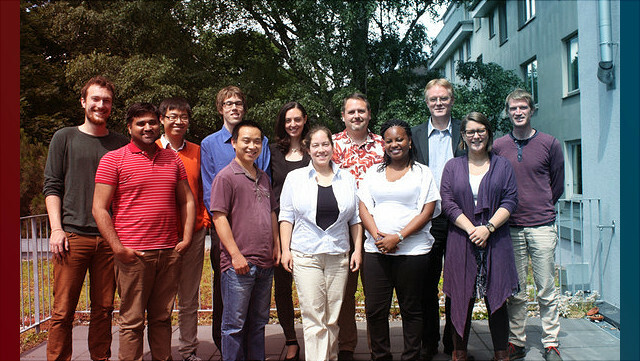 The Research Group Climate Change and Security (CLISEC) at Universität Hamburg, Germany, conducts multi-disciplinary research and education on the potential security risks, social instabilities and conflicts induced by climate change and on possible strategies for international cooperation, conflict management and sustainable peace. Our analysis is based on an integrated framework of the linkages and feedbacks between climate change, natural resources, human needs and societal stability. Current research focuses on the development of data and modeling tools suitable to assess and stabilize the climate-society interaction on global and local scales, with a specific emphasis on regional climate hot spots. CLISEC was established in August 2009 as part of the Cluster of Excellence “Integrated Climate System Analysis and Prediction“ (CliSAP) and the "Center for Earth System Research and Sustainability" (CEN) at Universität Hamburg. In CliSAP, meteorologists, oceanographers, and ecologists cooperate closely with social scientists and economists, as well as with peace and conflict researchers and media scientists. CLISEC actively works together with researchers of the Institute of Geography, the Center for Science and Peace Research (ZNF), and the Institute for Peace Research and Security Policy (IFSH). Prof. Dr. Ali Akbar Barati (faculty member at Department of Agricultural Management and Development, University of Tehran) visits Clisec for a period of 3-6 months (starting from 02 February 2019). 2nd CLISEC-PIK workshop focussing on "Qualitative and Quantitative Methods for Advancing Research on the Climate-Migration-Conflict Nexus" was conducted in Potsdam on 23 May 2018 from 11 am - 5 pm.